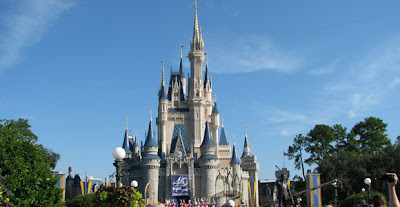 The Walt Disney World Resort is a vacation wonderland that is the perfect getaway for any age or group. At Only WDWorld Travel we can help you tailor your Disney World Vacation to meet the specific needs of your family or group. Whether you are planning your first ever Disney World experience or you have visited many times, we can help you make this trip your best Disney World Vacation ever! The Walt Disney World Resort is home to 4 world class theme parks (Magic Kingdom, Epcot, Disney's Hollywood Studios, Disney's Animal Kingdom), 2 water parks (Typhoon Lagoon, Blizzard Beach), 2 specialized shopping areas (Downtown Disney, Disney's Boardwalk), over 20 different onsite, themed Resort Hotels in four different classifications (Value Resorts, Moderate Resorts, Deluxe Resorts, & Deluxe Villa Resorts), & its own campground (Ft. Wilderness). There are also over 100 different places to eat without ever having to leave the Walt Disney World Resort. Golf on championship level golf courses or on a 9 hole walking course for the less serious golfer. Drive a Nascar style racecar. Tour the famous Utilidors underneath the streets of the Magic Kingdom. Shoot bow and arrows on an Archery range. Run a Marathon or one of 3 different Half Marathons during the year. Watch an Atlanta Braves Spring Training game. Go on a fireworks cruise. This is just a small sampling of the out-of-the-ordinary things you can do on your Disney World Vacation. You will NEVER be able to say that you've done EVERYTHING at the Walt Disney World Resort.